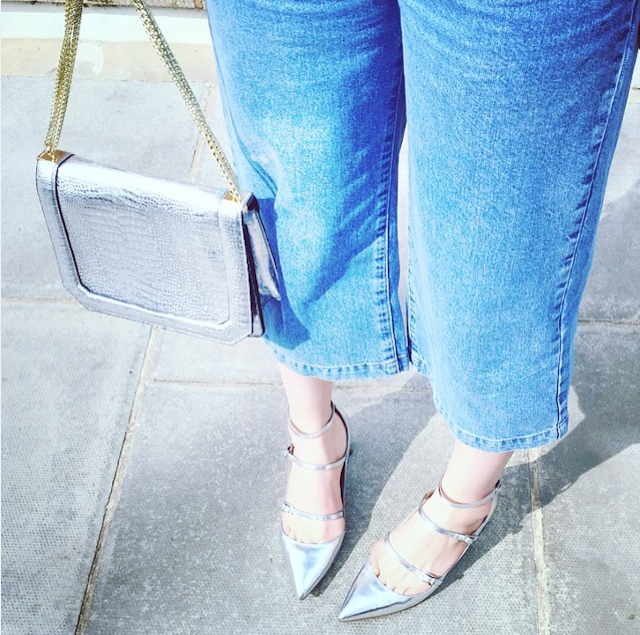 Previously reserved for night's out, special occasions and the party season metallic accessories are sure to be very popular this spring/summer 2016. 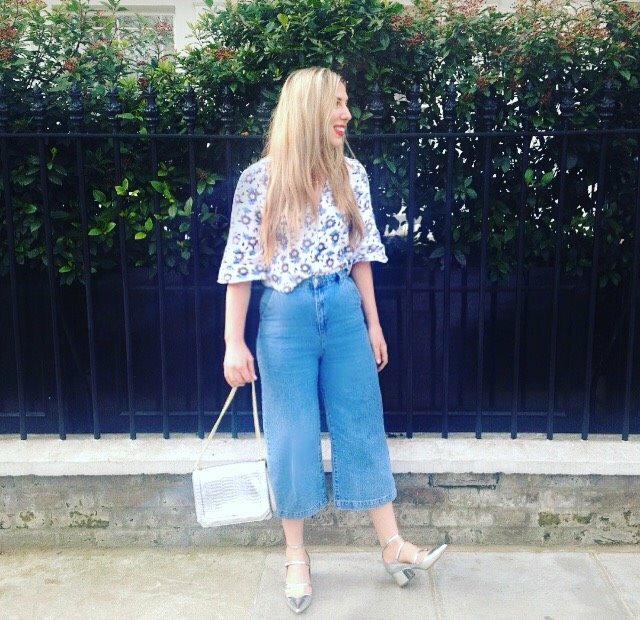 A super easy way to update your spring wardrobe, a pair of silver sling backs perfectly pair with raw hem jeans while gold, square toe styles can dress up pleated culottes effortlessly. Shiny shoes are a strong favourite of mine. I reallllllly fell for Topshop's Jolene shoes before London Fashion Week but I'm irrationally self conscious of my (pretty averagely size 7 feet), so much so that despite really loving them I was too worried that the pointed style would accentuate my size. Thankfully, I realised how utterly ridiculous this worry was and following drinks with a pr friend I popped into their Oxford Circus store, found the silver style and ran to the till. I wore them to work yesterday and received some lovely comments: proving that if you really do love something you should buy/wear it irrespective of personal worries over what others may think. 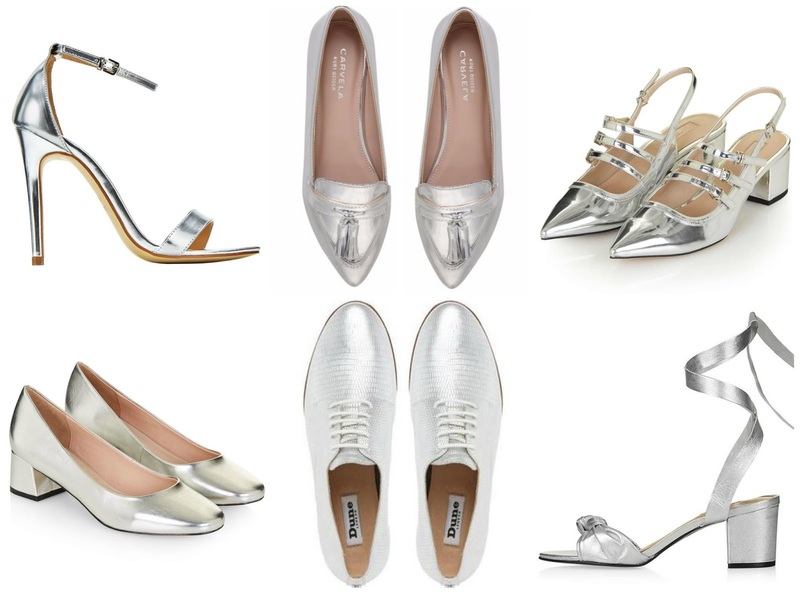 The high-street have some amazing metallic styles available to shop at the moment, I've shared an edit of my six favourite styles below... however if you're looking to invest in a metallic style that'll see you through many summers Camilla Elphick is your gal.